The bling on a roll is so easy to use! It's faux bling that comes 'stringed', so you can cut it to size. It's so sparkly! You can use alcohol based markers, such as Copics to customize the bling to match your project and 1/8" Super Sticky Tape to adhere the bling. 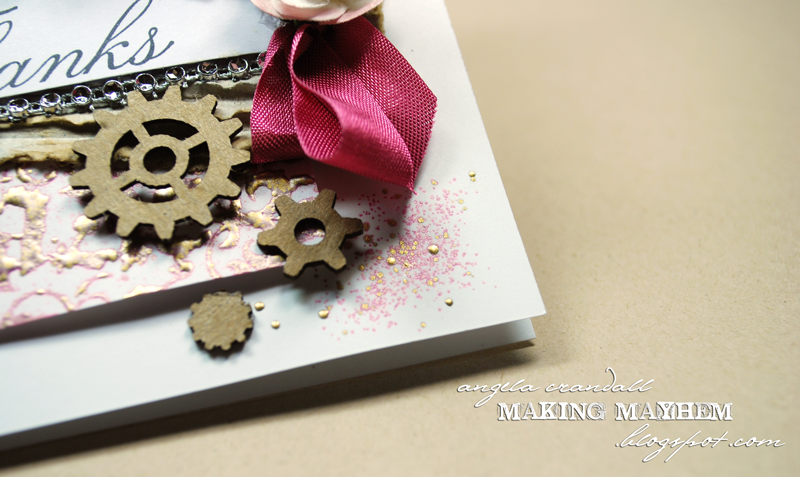 The Mardi Gras Embossing Enamel is such a lovely steampunk/vintage mix - burgundy and gold. The various sized particles really worked with this design giving it depth and texture right where it was needed! The Accents are easy to color with 3D Enamel Gels or embossing enamels (or any other coloring medium for that matter! ), but I decided to leave them natural. 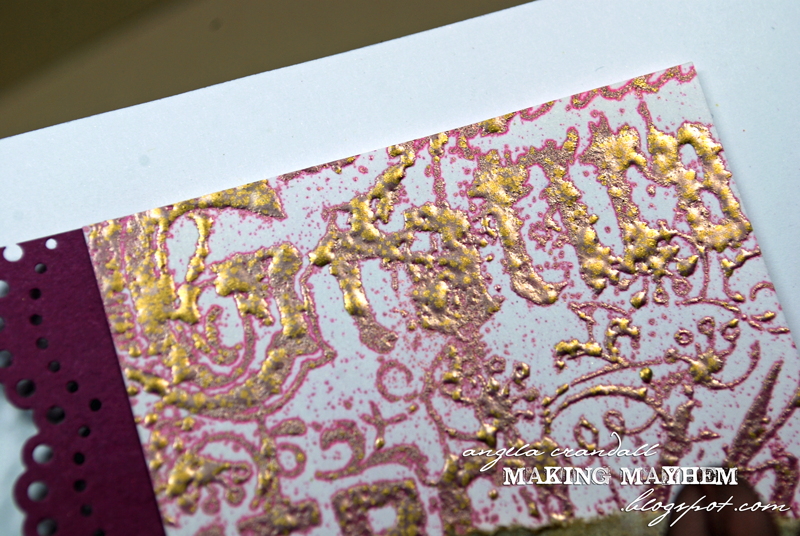 And a bit of Embossing Enamel splatter using the Mardi Gras! See the spots of gold? Thanks for stopping by today! See you tomorrow for a project designed by Tracy. I love it when you plan on one thing and get another - so much fun! Awesome card, love how you used the enamel for texture and added those wonderful embellishments.